INTRODUCTION: Human parainfluenza virus type 1 (PIV1) is a significant cause of severe respiratory tract disease in infants and young children. 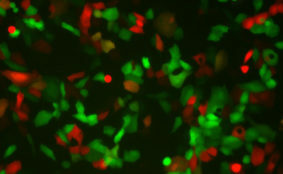 PIV1 is an enveloped, non-segmented, single-stranded, negative-sense RNA virus belonging to the subfamily Paramyxovirinae within the Paramyxoviridae family, which also includes the PIV2 and PIV3 serotypes. These serotypes can be further classified as belonging to either the Respirovirus (PIV1 and PIV3) or Rubulavirus (PIV2) genus and are immunologically distinct in that primary infection does not result in cross-neutralization or cross-protection. The PIV1 genome encodes three nucleocapsid-associated proteins including the nucleocapsid protein (N), the phosphoprotein (P) and the large polymerase (L) and three envelope-associated proteins including the internal matrix protein (M) and the fusion (F) and hemagglutinin-neuraminidase (HN) transmembrane surface glycoproteins. F and HN are the two viral neutralization antigens and are the major viral protective antigens. In addition, the P/C gene of PIV1 contains a second open reading frame that encodes four accessory C proteins, C, C’, Y1 and Y2, that initiate at four separate translational start codons and are carboxy co-terminal. The PIVs cause respiratory tract disease ranging from mild illness, including rhinitis, pharyngitis, and otitis media, to severe disease, including croup, bronchiolitis, and pneumonia. A licensed vaccine is currently not available for any of the PIVs. 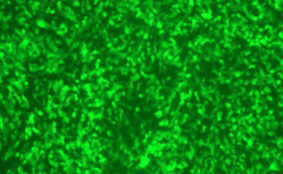 DESCRIPTION: PIV1-GFP was created based on a wildtype biologically-derived human PIV1 strain Washington/20993/1964. 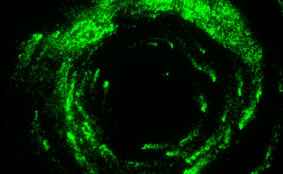 The GFP gene (EGFP, Clontech; 750 nt) was inserted at MluI site upstream of the N gene as the first gene, and recombinant PIV1-GFP virus was rescued using a reverse genetics technique. The recovered virus was cloned by two successive rounds of terminal dilution using LLC-MK2 cells, followed by propagation in LLC-MK2 cells. 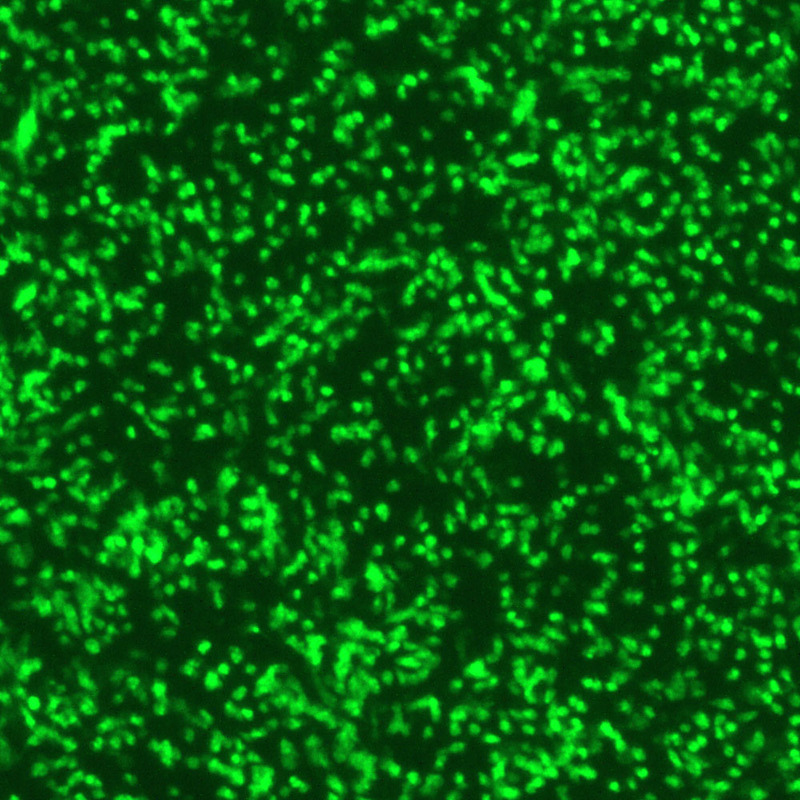 PIV1-GFP expresses GFP in infected cells, allowing the detection of infected cultures without hemadsorption or immunostaining. 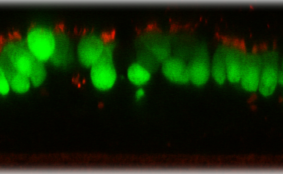 PIV1-GFP was found to contain spontaneous mutations C:R84G (R to G mutation at amino acid position 84 in the C gene) and HN:T553A (T to A at 553 in HN gene). 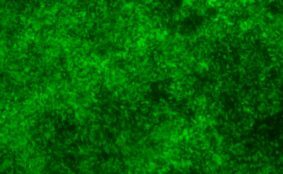 The replication of PIV1-GFP in cell cultures was found to be similar to that of its biologically derived parent virus, but mildly attenuated in the respiratory tract of monkeys. 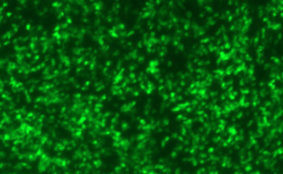 Construction: GFP gene was inserted upstream of the N gene as the 1st gene. 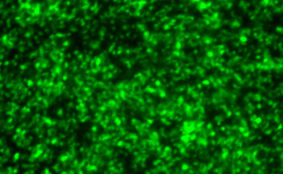 Passage History: The isolate was cloned and propagated in LLC-MK2 cells.